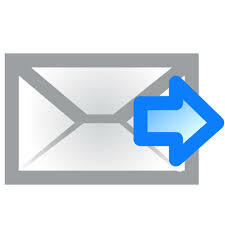 The radical market changes of the last decade have influenced customers and their needs. If customers change, then the offerings towards these and other customers also need to change in order for an organization to stay competitive. If the organization isn’t experiencing business growth and it hasn’t changed a considerable percentage of its offerings in the last years, then there is the chance that the organization is missing new market opportunities and is loosing competitiveness day by day. Future success is not automatically based on past success. So, are you ready to discover new grounds? This blog post gives you a good example of how a company has constantly adapted its offerings for the digital Economy and provides you a process on how to develop new products and services for the new reality. What can we learn from an European toy company? Fischertechnik (*) has been one or the most well known technical toys around the world. It was originally created by Arthur Fischer (famous German inventor with more patents than Edison) as a Christmas gift to the children of his partners and had such a good acceptance that it became a standard product for a new market (technical education). Today it is produced by fischertechnik Gmbh, a company based in the Black Forest in Southern Germany. 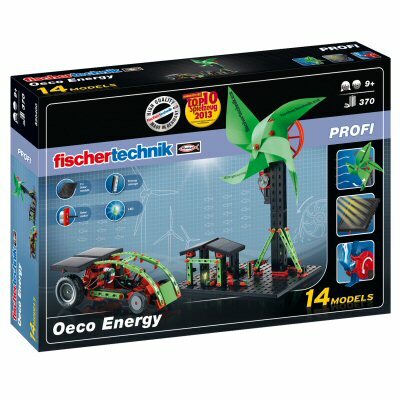 Fischertechnik building blocks motivated kids to learn and practice technical abilities and become future engineers. These building blocks have evolved from having mechanical, to electromechanical, to electronic, to computing, and to robotic components. As a child I used to build cranes and bridges and now my nephew uses it to build and program robots. The company did not only constantly transform their offerings in sync with the technological evolution but has also expanded their traditional education market on a worldwide level. Today it is used in schools for technical education in many countries such as Germany, Brazil, Mexico, United Arab Emirates, China and others. Additionally it is also used by the industry to build models. For more positive examples from various industries, please click here. New products and offerings don’t just appear. Companies need to formally express the will to find them and set up the necessary actions to develop these new offerings. So, in the same way as indicated in the past blog post about “Accepting the new reality in the Digital Economy”, an organization needs to take time and bring people together to adapt its offering according to the needs of the Digital Economy to stay ahead of the competition. But before doing this exercise it is important to get rid of all paradigms and ballast, which are keeping an organization or a person from reaching to the next level. 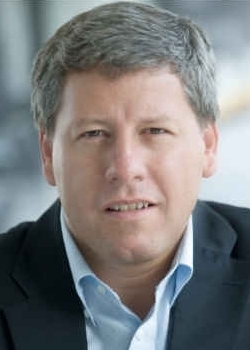 Companies need digital technologies to protect their current markets, improve communication with customers, grow their business, increase their effectiveness and flexibility with new technologies, reduce costs and security risk with new processes, access services on demand, and become more competitive to win in the market. If you are in the B2C market, how can you adapt your products or services responding to the Consumer profile described above? If you are in the B2B market, how can you contribute even more to the Company’s needs described above? Taking one by one each of the technological advances note above, how can these improve or transform your offering for the benefit of the customer? If somebody would create a company to take out your business, which of your weak points would it attack? Netflix and Spotify responded to the need of entertainment on demand, offering a higher product variety on a reduced price. After adapting your offering for the Digital Economy you may experience higher business growth and be better prepared to protect and expand your market. In case you need an external view in the development of new products and services, or your need the technology to manage your business in the new economy, feel free to contact us at info@calvisystems.com.